Crisp stripes lend a jaunty and playful feeling to design. 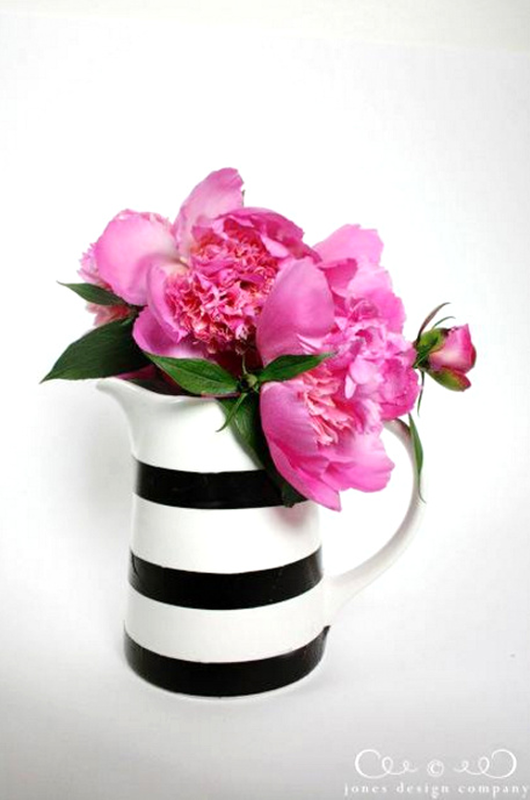 Mix those stripes with florals and other patterns, and you've got a whole lot of inspiration! 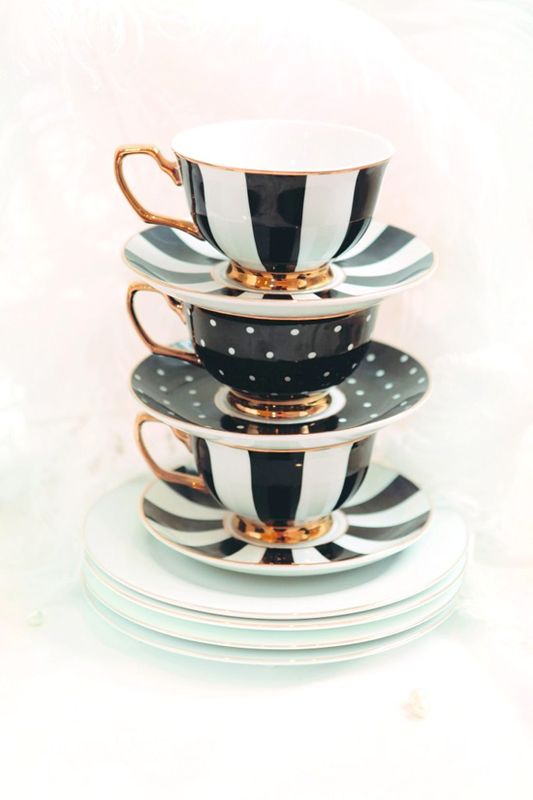 I particularly love the addition of polka dots with stripes. It's fun and makes quote a bold statement! My Favorite Things has some awesome striped products to make your paper crafts jaunty and fun. 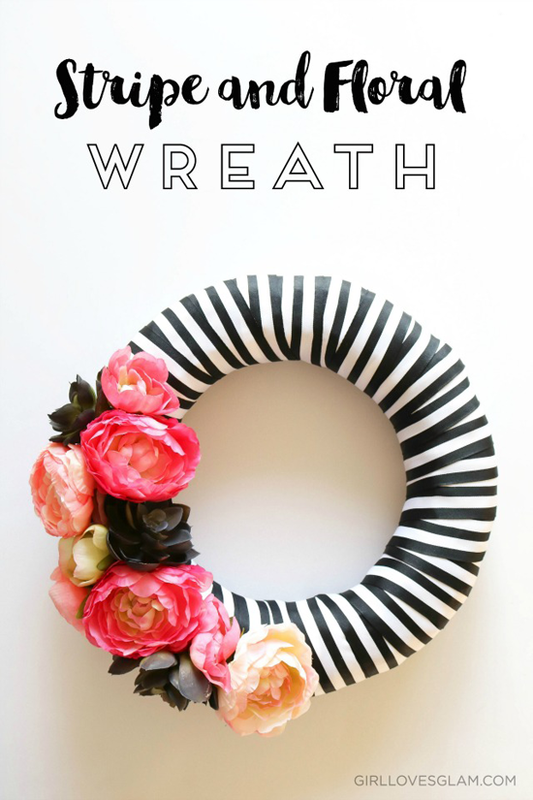 Let's take a look at some pretty projects that will inspire you to create with stripes! Melania's bold black and white stripes come to you courtesy of the Diagonal Sentiment Strip Cover-Up Die-namics. 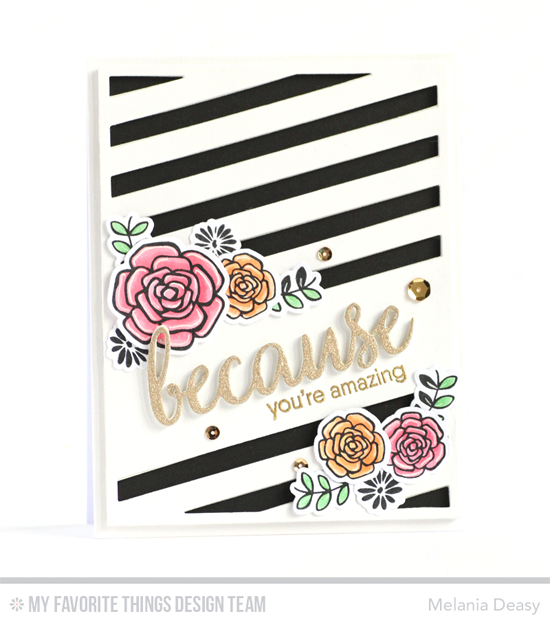 Paired with metallic gold and the Pretty Posies stamp set and Die-namics, these stripes make quite a statement! Sophisticated black and white stripes add an elegance to Donna's design. The jaunty angles create quite an impact with that one perfect poppy. Sometimes you just need a little bit of stripe around the outside to make an impact. Karolyn's clean and graphic design gets a little extra boost with the addition of stripes! 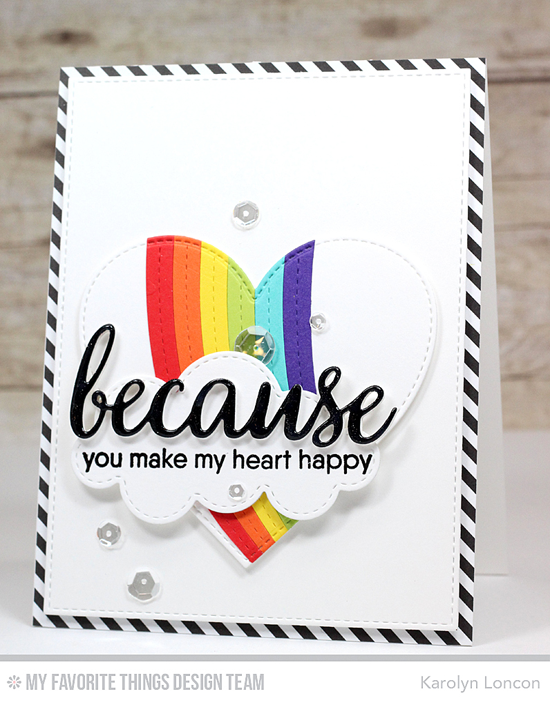 Cute cards can benefit from stripes, too! Kay adds stripes to the launch pad for her pretty rocket from the Out of This World stamp set. Looks like a beautiful day for space travel! And of course, the sophistication of black and white stripes is the perfect design for a special couple on their wedding day. 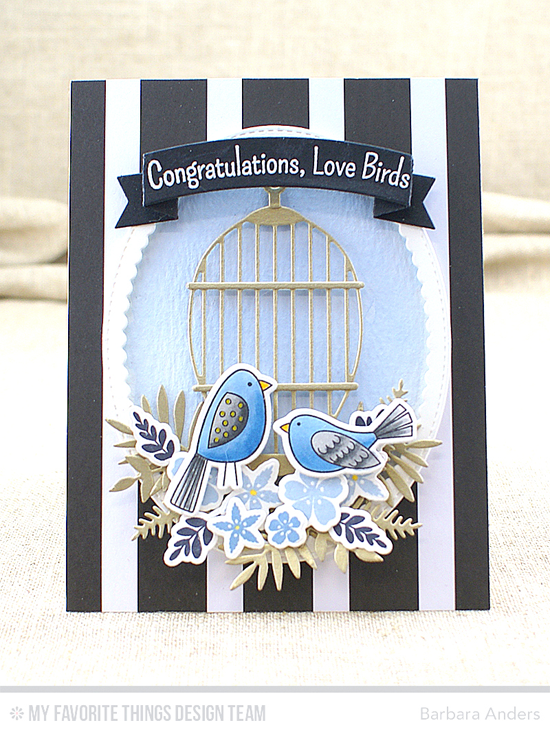 Barbara's pretty blue birds and gorgeous array of flowers beneath the Cheerful Cages Die-namics make this card a keepsake. Before you go, take a look at a few of the delightful striped things you can buy at the My Favorite Things online store! Simply click on the photo to be taken directly to the product. If the product is currently out of stock, you can sign up for an email notification once it's back in stock! Love stripes. 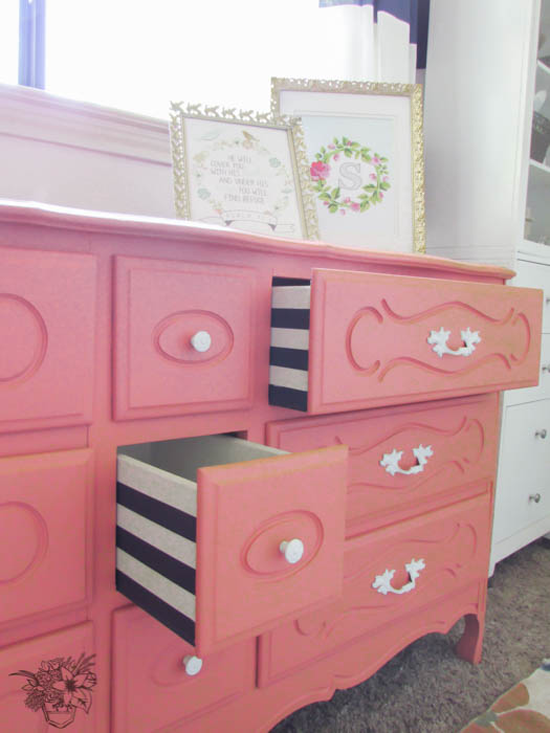 And that dresser! 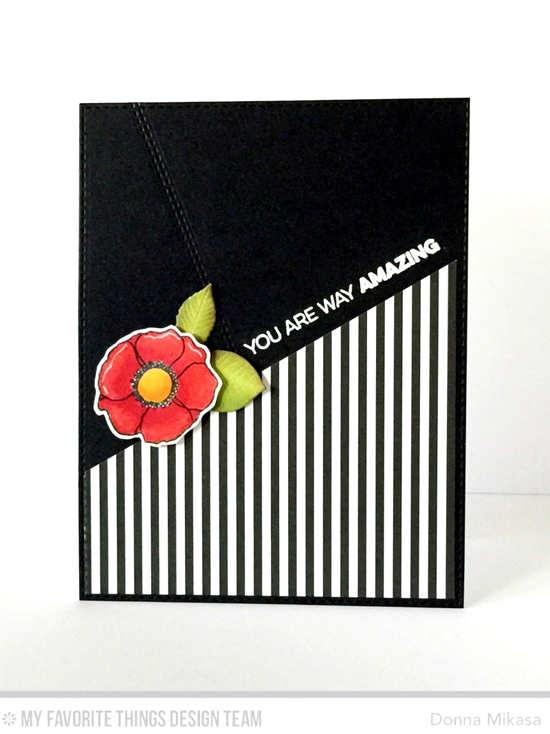 Oh boy do I love the inspiration you found & what amazing cards!